Nomura Job Cuts: Nomura Plans Dozens Of Job Cuts In Europe And The U.S.
(Bloomberg) -- Nomura Holdings Inc. is planning to cut dozens of jobs across its trading and investment-banking businesses in Europe and the U.S. as the brokerage struggles to make a profit overseas, people familiar with the matter said. Executives at the Tokyo-based firm may shed more than 100 traders and bankers across its overseas units, according to the people, who requested anonymity as the information isn’t public. The bulk of the reductions are likely to come at Nomura’s troubled European business, which has lost billions of dollars in the past decade, the people said. Nomura Chief Executive Officer Koji Nagai and his wholesale banking head Steven Ashley are under pressure to turn around the international parts of the group after years of failing to produce sustainable profits. 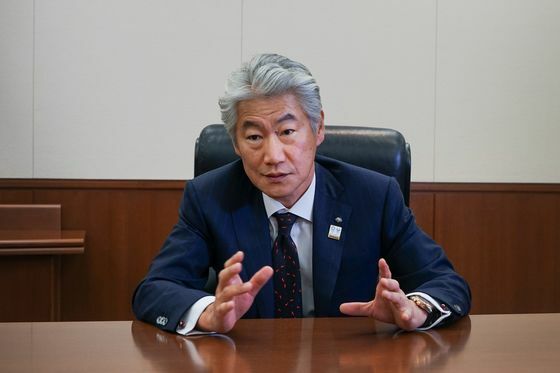 The CEO, who also faces headwinds at home in Japan, has been reviewing the firm’s businesses and expects to present the results as soon as April, the bank said in January. Kenji Yamashita, a Tokyo-based spokesman for Nomura, declined to comment. The Japanese bank has struggled to generate profits in Europe ever since it bought Lehman Brothers Holdings Inc.’s operations there in 2008. Nagai pushed through about 50 job cuts in London in July, including some of the firm’s most senior traders, and signaled in a December interview with Bloomberg that more were on the way. Nomura’s plan to end the status of its office in the U.K. capital as a global booking hub also means the current 3,000-strong workforce in the region may be “a little large,” the CEO said. Nomura will hold an investor forum in Tokyo next Thursday, where Nagai, 60, may unveil his latest plan to revive the firm. In 2016, he let go hundreds of people in Europe when the bank shut most of its stock-trading business there. The Japanese brokerage posted its biggest quarterly loss in almost a decade at the end of 2018, after writing down the goodwill value of the Lehman acquisition and its equity trading arm Instinet. The 95.3 billion yen ($865 million) net loss came as the firm was slammed by turbulence in global equity and bond markets. 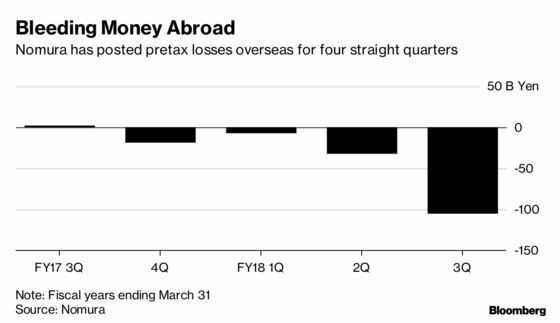 At home, Nomura has been grappling with a slump in its mainstay retail business, where revenue has fallen for four straight quarters amid weakening sentiment among individual investors. Nomura joins a number of global banks cutting posts in various business areas. JPMorgan Chase & Co.’s regular review of its staffing numbers has resulted in hundreds of staff in asset and wealth management losing their jobs, a person familiar with the matter said this week.